Thomasena: You mentioned having a farm and you’re a Baltimore native, so is that something you’ve always wanted to do or did you happen upon it? Thomasena: I currently have a young male family member in a state prison, and I know one of his biggest fears is not being able to make it (upon release); and many educated people nowadays have the same concerns. And you’ve had an extraordinary transition that has been well documented (from incarceration to Towson and then Yale University). For those individuals in need of inspiration, would you mind sharing how you were able to make that transition and what opportunities you took advantage of? Charles: I came out of prison 36 years ago (1976), and in those days most states were spending tens of millions of dollars on rehabilitation. There was parole in the federal prison system, unlike today. So there was a climate, politically, culturally and socially, where you weren’t considered to be a leper or treated like you had the plague because you were an ex-con. There were a lot of avenues you could take to better yourself. As far as people today coming home from an institution, sometimes I don’t like to speak on it because it is totally different, and they have a much tougher road to travel than I did. But I want to be clear, the first step for anybody staying out of the penitentiary is they have to want to better themselves. I don’t care if you’re 17 or 70 yrs old. You have to want it. While they are still inside try to get a GED, if they don’t already have or diploma, and see if the prison will allow them to take college courses. That old adage about (getting) an education, sounds like a cliché but it’s true. For a young person coming out, like your family member, there may be a lot of doors shutting, but he has to find a positive place to volunteer his time. People can see when you still have negative karma around you. In some way, when you rid yourself of that negative karma, people come out of the woodwork and want to help. And don’t be inhibited from asking for help, from the right people. The one thing that connects both generations, mine and this one, is that everybody who changed did it because they wanted to. Thomasena: I like that you mentioned internal motivation being important, because it really does boil down to taking accountability. I compare that to your character’s journey in The Obama Effect because he eventually took accountability and made positive changes in different areas of his life. That was the message that resonated most with me, but what message did you most want the audience to leave the theater with? Charles: We had the luxury of being able to shoot the film, watch the President for three years in office, and go back and shoot additional footage. We didn’t want to hammer everybody on the head, but put in messages that were subtle yet effective enough to add some weight. For instance when the character who is my brother (played by CJ Mack) says “a Black man running for president and I can’t vote because of my record,” I definitely wanted to say that. I wanted to talk about Black men’s health, father and children relationships, and issues surrounding the whole political process. We wanted to make the political process the central theme, but mention those other issues without cluttering the movie. Thomasena: On a personal note, I’d be remiss if I didn’t share Roc is one of my all time favorite shows, ever. Watching the season you went live with Ella Joyce, Rocky Carroll, and the late Carl Gordon was nothing short of amazing. And the personal perspective you were able to bring, as well as adding seasoned Broadway actors to the mix, made it one of the most compelling sitcoms of its time. Would you ever consider venturing into sitcom territory again, and are there any upcoming projects that your fans should look out for? Charles: One upcoming film is a picture I shot in your town, Philadelphia, called Must Be The Music. It’s about the music industry, and all of its corruption; and I’ve played villains before, but this is the ultimate villain that I’ve played. We used 95% of local talent, in front of and behind the camera, and I’m really excited about the film. 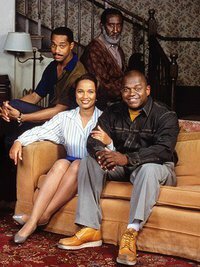 It has been almost 20 years since Roc went off the air and nothing has crossed my desk that has remotely topped that show. I could have done a drama, came back and did an inferior drama show and still have gotten some meat out of it. But in comedy, if you’ve done an iconic show and then do another show that’s nowhere near as poignant as the one you’re known for, it can be disappointing for you and the audience. I had to re-adjust my thinking and (realize) if I want to do something else I shouldn’t try to top that show, but do something that would be just as good in its own right. For years I wasn’t interested, but now I’m looking at a few things, reading 1/2 hour scripts. Thomasena: Last question is for my music fans. If you were able to star as or direct a biopic about any musician or singer, who would it be and why? Charles: Wow, well you’ll really have to see Must Be The Music, because in a way I did just that without looking at any one individual; although the story is centered around a single fictitious character. If I singled out one person, I would say Louis Armstrong because he’s probably the most misunderstood Black musician of his time. I’m a product of the 60’s and (back then) many in my generation thought he was an “Uncle Tom.” But the older I got, the more I read; and later I had opportunities to talk to celebrities and people who knew, played and recorded with him. I ended up respecting the period that those people had to live through, and the things they had to do to make it. There is a certain way to fight a revolution. Everybody doesn’t have to be on a soapbox screaming, you can have somebody playing the flute and the notes are revolution. That’s what Louie Armstrong was with his trumpet. His horn represented a sense of pride, achievement and possibility, and in my opinion he is the greatest trumpet player that ever lived. Now, Mr. Dutton also shared that he was a Motown fan and would love to do a few biopics of its artists, as well as the legendary gospel group The Blind Boys of Alabama. I know one thing, whatever he puts out, whenever it comes out, I AM THERE :). Check out the official trailer for Must Be The Music with Charles S. Dutton, Clifton Powell, Tasha Smith, Tyreek “Black Thought” Trotter, Jason “Jadakiss” Phillips, Felicia “Snoop” Pearson, and Trina below. 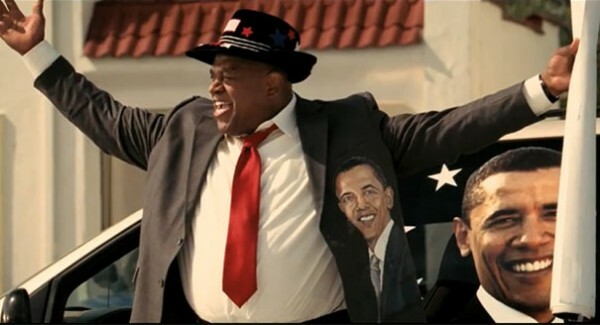 You can also get more info and check out links for The Obama Effect on DVD and VOD at www.obamaeffectmovie.com. Hey Thomasena! Wow…that interview seemed like it was pretty intense. Charles sounds like a great guy. So glad you shared his thoughts with us! Good Day! Great interview! Keep us informed. Very nicely done. I have not seen the movie, but will watch it onDemand. It is a little too late for me to tune the tube, but I will check it out. Thanks doing such a fabulous job in this space.